When looking for things to do in Poole, holiday makers and locals often forget that they can take windsurfing lessons and learn how to windsurf at the UK’s No1 spot, Poole Harbour. It is just around the corner from the popular tourist destination of Bournemouth and being the second largest natural harbour in the world, with a designated area for watersports, it really is the UK’s No1 Spot to learn to windsurf. The Brownsea Island Scout camp is recognised as being the world’s first Scout camp, the event being regarded as the real origin of the worldwide Scout movement. Escape the hustle and bustle of Poole & Bournemouth, wandering through the woodland, heathland, wetland and shoreline of Brownsea Island. Many special events are on offer throughout the year including the popular Open Air Theatre, activity weekends and guided walks. Boat Services are available from Poole Quay and Sandbanks Jetty, boat trips also run from Bournemouth Pier. The Island is open daily to the public from 24th March – 4th November 2012. One of the more leisurely things to do in Poole is to take to the beach in style by hiring a beach hut in Poole and be a part of a great British tradition. You can’t get a more traditional thing to do in Poole! 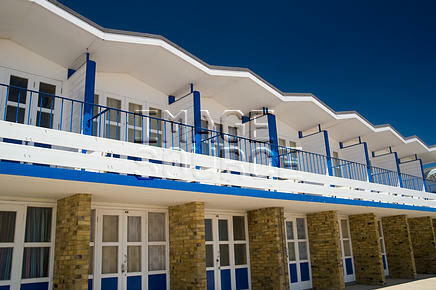 The latest news is that Poole Borough Council have recently built 22 brand new beach huts at Branksome Chine. They have stunning views across Poole’s award winning beaches and are available to hire on a weekly basis between April and September. For those days where the whole family just needs a bit of entertainment, Tower Park has it all. 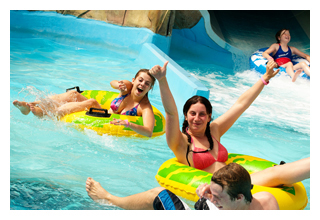 Attractions include a 10 screen multiplex cinema to bingo, bowling and a water park with 12 of the UK’s craziest indoor and outdoor rides. If you are looking for things to do in Poole, Tower Park has a lot on offer, all in the same location. Built in 1924, Compton Acres is a wonderful example of a historic garden in the UK. It is of late Victorian Mixed Style design with seven distinct gardens to wander around and enjoy, including the famous Italian and Japanese Gardens. Having undergone extensive refurbishment over the past 8 years, Compton Acres is now highly regarded as one of the most important historic gardens in England. It holds a place as one of the top 5 things to do in Poole, for those that really appreciate their gardens! As well as its beautiful ten acres of gardens, there are two cafes, shops and a specialist Plant Centre. Special events such as pony rides and an Easter egg hunt are also held throughout the year. As an addition or backup to the above we have also compiled a list from our insider local knowledge of the top 5 free things to do in Poole! Incorporate some or all of the following free Poole tourist activities and you can justify one or two of the great paid for experiences, such as windsurfing lessons at the Poole Windsurfing School. Walk around Poole Harbour and the world famous Sandbanks peninsular, taking in both the natural scenery and a sneaky peak at the 4th most expensive property in the world. 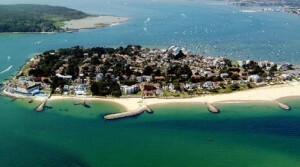 Many of the rich and famous have houses on the Sandbanks peninsular and a leisurely walk is the best way to get a glimpse of how the other half live! You can stop off at Sandbanks beach for on-route refreshments and a dip in the sea to cool your feet. 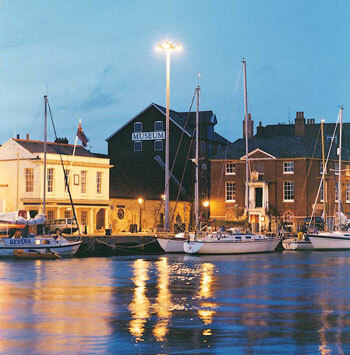 Spending some time at Poole Quay is a great free activity to do during your visit to Poole. You can sit in one of the many restaurants or bars and watch the yachts come and go in the marina and Poole Harbour. Poole Quay is also home to the most famous super yacht manufacturer in the world, Sunseeker. You can see the latest luxury and performance super yachts being fitted out and prepared for delivery around the world! quay for my car – mini magic from Olivier Depaep on Vimeo. Every Thursday in July on Poole Quay from 7pm check out the ‘Summer Breeze with Fireworks on the Quay‘ where you can enjoy live music, street entertainment, family activities, special themed nights and a fantastic fireworks finale at 10 pm. 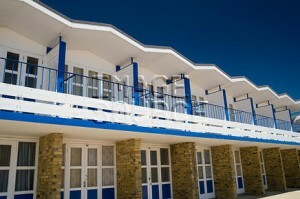 In August Summer Breeze on the Beach then takes place at Shore Road Beach, Sandbanks every Thursday. If you are visiting between the months of May and August and are looking for free things to do in Poole, Friday evenings herald the return of “Quay for my Car” on Poole Quay, kicking off at 6pm. There are shows for everything from VW Beetles to Porsches. The Poole View website has a list of ‘Quay for my Car’ dates and the type of cars that will be shown. If you want to see the famous 7 miles of golden sand beaches then taking to 2 wheels is a smart way to get around and one of the great free things to do in Poole. Cruise along the promenade towards the famous Sandbanks beach and if you are feeling adventurous, over the chain ferry and into the Purbecks. In the other direction you can go all the way to Hengistbury Head and even take a land train from there to Christchurch Harbour. Every Thursday between 9am and 2pm Poole’s Farmers Market is held in Falkland Square. You will find the best local and free range products brought to you by the Farmers, Nurserymen, Bakers and Pie Makers who breed, grow and make their own produce. The Farmers Market is held in Falkland Square, outside the Dolphin Centre. There is also Poole’s Weekly Street Market every Thursday & Saturday between approximately 9am and 5pm along Poole High Street from Lagland Street/North Street to Old Orchard. The market offers something for everyone at great prices. Both are free things to do in Poole, it’s just up to you how much shopping you take back with you! Make the most of Poole’s natural wonderland by enjoying a relaxing swim at one of the five gently sheltered beaches, including Sandbanks – winner of more Blue Flags than any UK resort – with soft golden sands, raked and cleaned all year round. For free things to do in Poole, they don’t get much better than this! Enjoy your stay – you certainly won’t run out of things to do in Poole! Windsurfing Group Discounts – 1 Person goes for FREE! Thinking of going to UK this summer, and I should probably stop by poole!